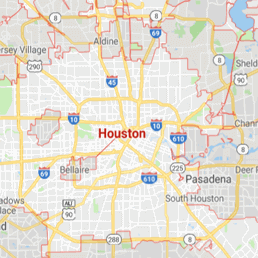 When water damage rears up and takes over a home, the people of The Woodlands count on Eli Elkayan and the service experts he hires with 911 Restoration Houston to take on the challenges that it presents. But Eli lives for these challenges because they offer a way to help people during their time of stress who live in The Woodlands and make the area such a wonderful community. Giving people back their homes after a water damage The Woodlands disaster is all in a day’s work for Eli, and so is giving them back their sanity during the initial stages of these types of events. To do this, Eli and his teams are strategically placed around the area to reduce the response time for arriving at the site of an emergency. With all of his professionals stationed in accordance with this concept, Eli has managed to reduce his response time to within 45 minutes of a call for his entire service area. With years of experience, Eli knows that a rapid response time for a water damage disaster is one of the most crucial steps to take in reducing the amount of loss that such an incident can cause. To be available anywhere, Eli is tapped into the customer service and help line which has dedicated restoration operators manning the phones available 24/7/365 so that they can dispatch calls to Eli for any kind of emergency situation. Bringing the right equipment is no easy task because a home affected by water damage may need dozens of pieces of drying technology, advanced air movement and dehumidification systems. To provide this level of functionality on the scene, Eli has mobilized his entire operation for maximum efficiency and customer care. And in terms of customer care and support, Eli goes the Extra Mile for all his clients by filling out the insurance paperwork for people during their time of water damage Woodlands TX crisis. Being a part of the greater Houston area, The Woodlands is constantly at risk of being inundated with flood waters from one source or another, and that is why we are here for people day and night. This high level of risk that residents in The Woodlands face is due to the frequency of hurricanes and severe weather events that the area experiences regularly. This is why many of The Woodlands residents have Eli locked into speed dial for any kind of emergency that touches down. And this is why so many people have Eli as their go-to service professional for just such events. Don’t let the next hurricane flood your home with water that stays there for days. 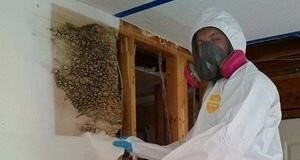 Contact Eli and his water damage The Woodlands experts with 911 Restoration Houston and be prepared for everything before it happens with our experts at your side today!